As a young boy, 18-year-old Daniel witnessed his father's crucifixion at the hands of the Romans. Consumed by hate, his one desire is to drive the legions from Israel. But as he works with a band of outlaws using guerrilla tactics, he also begins to pay attention to the teachings of a wandering rabbi from a nearby town. Caught between his desire for revenge and the demands of his family, Daniel goes repeatedly to hear Jesus preach. Each time he leaves disappointed that Jesus doesn't take a stand against the Romans. Will Daniel learn to heed the message of forgiveness before his violent lifestyle leads to disaster? 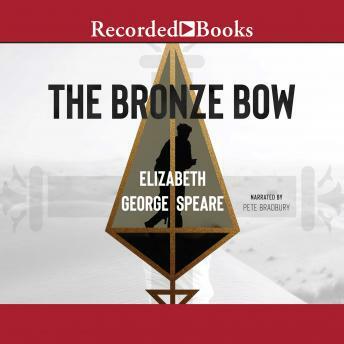 Twice awarded the Newbery Medal, Elizabeth George Speare also received the Laura Ingalls Wilder Award in recognition of her collected body of historical fiction. Narrator Pete Bradbury gracefully brings life to Daniel and deftly illuminates the world he lived in.